Robert “Noise” Hood is one of the original members of the Detroit collective Underground Resistance (UR) and a solo DJ with an incredible discography. His work is informed by militant politics of music as a tool for social chance, and coming out of Reagan-era inner city Detroit, his radical views are personally informed. Solo after leaving UR in 1992, Hood still focuses on minimalist techno and has since also started his own label, M-Print, on which he continues to release collaborations with other UR artists. 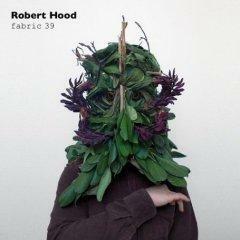 On Fabric 39, we find Hood remixing disco samples and focusing on heavy repetition. In terms of this record as part of the ongoing Fabric and FabricLive series, I think it’s safe to say this album falls outside what some have come to expect from the collection. But this departure is in no way a negative thing. It should, instead, push people’s expectations about what a techno or dance album has been and will be in the future. Hood doesn’t use mainstream samples in heavy rotation, and his music can seem a bit obscure in that sense. You don’t catch a ten second beat you know from your childhood and jump up to dance, but the album grows on you, and its fast repetitive beats, which are not immediately catchy, become mesmerizing the longer you listen. It also reminds me of the DJs on my more youthful days in the Midwestern rave scene, so despite the album’s lack of initial appeal, it holds a soft spot in my former ravergrrrl heart.